That's it. The Magpies have won their second match in 11. More importantly they are now only three points from safety. A good day for the North East pair but a bad day for Norwich. "Newcastle have been impressive, they have put in a really good performance." Not entirely sure I agree with you Kevin. "The result for Sunderland gave Newcastle great belief. It was edgy in the first half, and even when they scored the first goal - but let's not get carried away! There is still a long, long way to go." "That was a cool little finish, I thought he was going to pass it back to Mitrovic but that was nice confidence. Andros Townsend has actually played really well." Can you have a not great good win? Anyway, Aleksandar Mitrovic pushes past one challenge and plays in Andros Townsend who springs the offside trap. The winger keeps his cool and slots his shot under the body of Lukasz Fabianski. That my friends is certainly Rafael Benitez's first win as a Newcastle manager. "You go back to those three chances for Swansea when it was on a knife edge, Newcastle desperately needed that goal." "It's that boy Townsend again, he's shown his quality all afternoon. Sissoko was six yards out and gave the keeper no chance,"
"It is an instinctive goal. Newcastle attack it well. It sits nice for Sissoko and he strikes it towards goal really well." What he added was he won the corner that led to the goal. The corner from the left is swung into the area. There are two ricochets before Moussa Sissoko swings his boot at the ball and fires home from about eight yards. The home crowd cheers, heart rates fall. That should be three points. That's the stand-in skipper's first goal of the season BTW. Newcastle fans, who have been quiet, belt out "Newcastle! Newcastle! ", but it comes with the team on the backfoot. There are 10 minutes plus stoppage time remaining. Jefferson Montero, who has lacked accuracy today, to be polite, misses a sitter from eight yards after sub Bafetimbi Gomis plays him in. Moments later, Gomis himself fires over from 12 yards after good work by Modou Barrow down the right. Newcastle's Vurnon Anita goes into the book for a foul on Jefferson Montero. Midfielder Gini Wijnaldum - 11 games without a goal - is replaced by Ayoze Perez. The worry for Newcastle fans is that their team now sits back and tries to defend a 1-0 lead. And they are almost made to pay from a quick free-kick when defender Ashley Williams fires inches wide from 12 yards - he should have scored. Bafetimbi Gomis comes on for Andre Ayew. The Swans are looking to turn it up a notch. "The game is drifting. Swansea have had a lot of possession but have not shown a lot of quality. 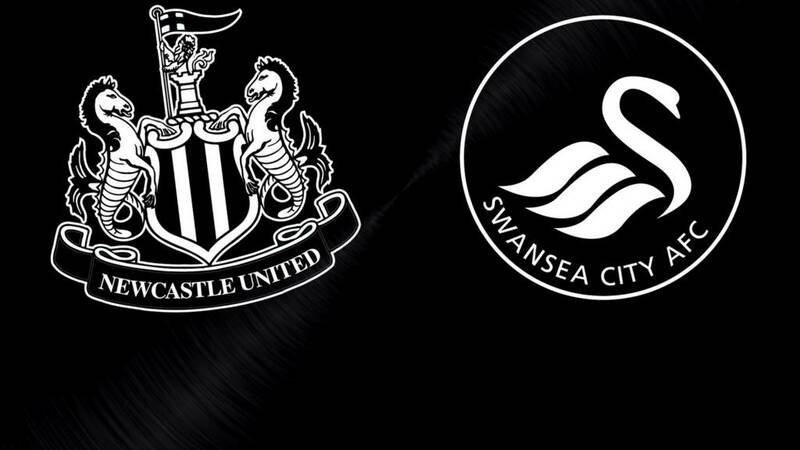 The game is in the balance and Swansea will get more chances as Newcastle will sit deeper as the game goes on." Even if they win, Newcastle have not produced a display that will encourage the home fans. The midfield look sluggish, while striker Papiss Cisse does not look a threat. Anyway, Cheick Tiote comes off and gets a round of applause from the fans. Jonjo Shelvey comes on to face his former side. We have about 24 minutes remaining. Swansea are playing much better in this half. Angel Rangel and Jack Cork are getting their feet on the ball. Having said that the Magpies break again, but it ends with Andros Townsend trying a flick in the area which looked good but was ultimately ineffective. It remains pretty quiet at St James' - perhaps the home crowd are waiting for what some deem to be the inevitable... an equaliser. That was a vital block by Chancel Mbemba. The Newcastle defender prevents Andre Ayew from what seemed like certain equaliser with a brilliant low block to stop his fierce low shot. It's hotting up at St James'. Newcastle midfielder Moussa Sissoko retrieves the ball after losing possession. He plays the ball into Papiss Cisse, who fires wide with the keeper to beat. However, the Senegal forward was flagged offside - just as well.